Name it. Claim it. Tame it. The part of the story Pete focused on was when Jesus told the impure spirits not to reveal who he was. He did not want to be named the Son of God. There was an ancient tradition that naming something gave it power. Pete used the story of Rumpelstiltskin. We probably all know the story but basically the deal was the Queen must know his name in order to be free of the deal she made. Through devious acts she learns his name and wins. The power of naming him gave her freedom. The video we watched this week is called, Name, by Rob Bell. It is a series of people taking off their layers to reveal who they are. Rob narrates throughout the film, but the message on the shirts is powerful. We have the façade people see and know and we have the real us. What is at your heart of hearts? Are you able to name the issue(s) that fills your mind and heart? In recovery groups the members are called to stand and name their problem. 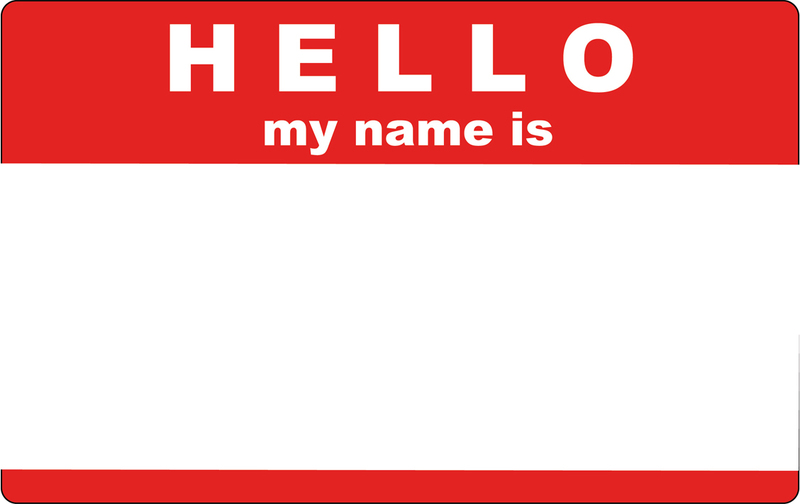 “Hello, my name is… and I’m a(n)…” By naming your struggle/issue/problem you have identified it. Now you can claim it as yours. At this point it becomes easier to tame it. Many of us live in denial to the fact of our issue or where it stems from. Pete used an example of eating ice cream…we are happy, let’s eat ice cream…we are sad, let’s eat ice cream…it’s Tuesday, let’s eat ice cream. Here the issue of not dealing with reality but eating away the problem. But the problem doesn’t go away, we just fill the sorrow or joy with something else for the momentary pleasure we derive. Jacob, of the Old Testament, didn’t even know who he was. He claimed his brother’s name to become his father’s heir. Only the oldest received an inheritance then. He finally finds himself in a battle and must answer the end question…who are you? And you know what? He finally figures out who he is…”I am Jacob,” he replies. So again, who are you? I am a Christ-follower, wife, mother, daughter, sister, marketer…I am Melanie. I deal with pain, happiness, sorrow, joy, fear and many other emotions just like everyone else. My ability to name my moment and claim my moment allows me to tame my moment and be more like Christ. No, I am not perfect, but I know the one who is and he calls me to follow him through all my ups and downs and helps me deal with LIFE, as we know it.